You are here: Home / Bulletin / Bulletin / High School Notices / Milling fun with Year 9-10 Design & Technology students! Milling fun with Year 9-10 Design & Technology students! Year 9/10 Design and Technology elective had a unique experience in their woodworking class a couple of weeks ago. We had a mobile mill come and convert a large silky oak log and a camphor laurel log that had previously been cut down on the grounds of the school. This timber will come in good use for students projects. In the process, students learnt about wood conversion, storage, drying, and sustainability. 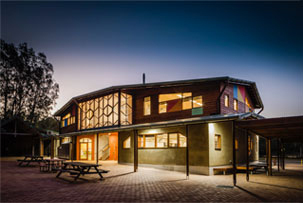 http://capebyronsteiner.nsw.edu.au/wp-content/uploads/2015/12/CBRSSwebheaderlogo.png 0 0 Jon Dugdale http://capebyronsteiner.nsw.edu.au/wp-content/uploads/2015/12/CBRSSwebheaderlogo.png Jon Dugdale2016-04-08 18:07:362016-04-08 18:07:36Milling fun with Year 9-10 Design & Technology students!